It's a brand new year and I know so many of us have made resolutions to make sure this year is one of the best years ever. Isn't that always the goal? We make plans to lose a few extra pounds, to quit unhealthy habits, to spend more time with or families, or to save up a little extra money - all with the same goal: To have an amazing year. 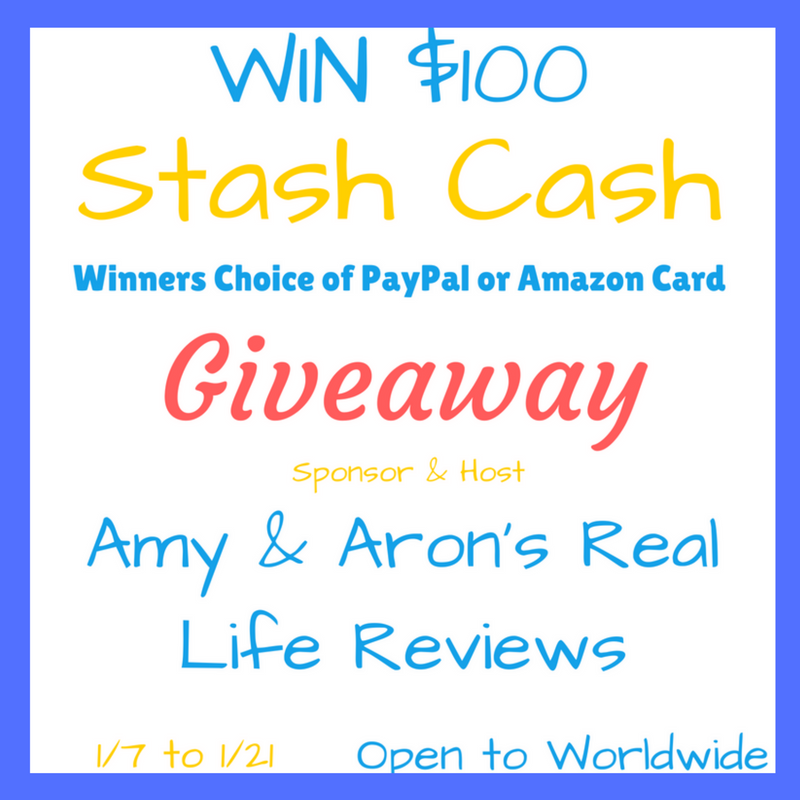 So to start the year off in a great way, I have teamed up with Amy from Amy & Aron's Real Life Reviews to co-host an awesome giveaway for you guys. What better way to start the new year than with a little extra cash? The details are below; be sure to come back daily for more entries. 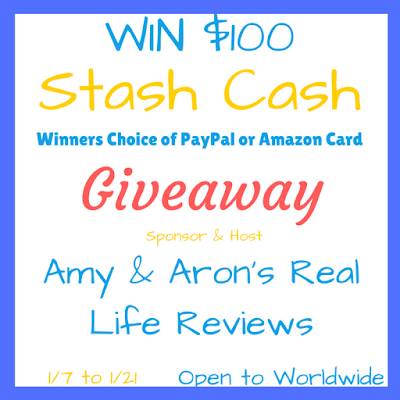 Amy & Aron's Real Life Reviews would like to thank all of their amazing readers. Without you guys, these awesome giveaways wouldn't be possible. They are sponsoring this giveaway to show their appreciation for the way you have treated them since the beginning. This has been a fantastic adventure! This giveaway is open worldwide (except where prohibited.) There are daily bonus entries so please check back tomorrow. Share it with your family and friends, they'll want to enter to win too!! We can't ask you to "Like" our pages but if you see something you like let us know so we can bring you more of it.